Leonir Chiarello is executive director at the Scalabrini International Migration Network (SIMN), a network of more than 270 entities serving migrants, refugees, internally displaced persons, seafarers, and itinerants. Fr. Chiarello is also SIMN’s permanent representative to the United Nations. Prior to joining SIMN, he worked extensively in Latin America. His previous positions include: counselor of the Human Mobility Section of Consejo Episcopal Latinoamericano (CELAM); the first president of the Scalabrini Foundation and Scalabrini NGO of Chile; counsel and director of the Centro Integrado de Atención al Migrante of Santiago. Fr. Chiarello has also worked with migrant communities in Argentina. 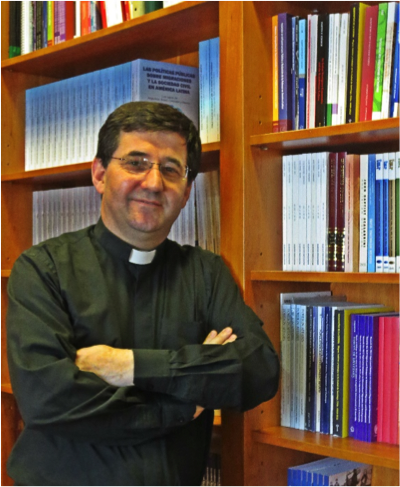 He holds a master’s in dogmatic theology from the Pontifical Gregorian University of Rome, a master’s in social and political sciences at Alberto Hurtado University of Santiago, Chile, and a bachelor’s in philosophy at the University of Caxias do Sul in Brazil.